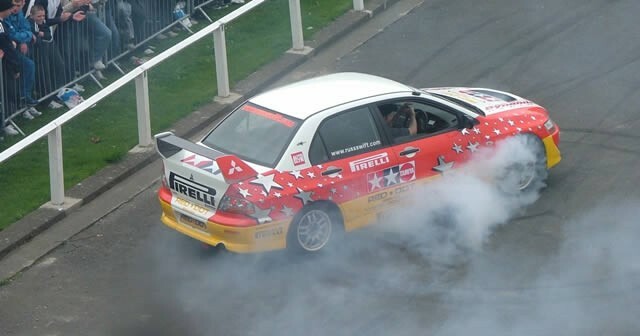 Now in its 3rd year, the hugely popular and successful 100% Modified Show returned to the RDS arena in Dublin. While Bronk and Max decided to carry out what they called important ‘admin’ tasks I was busy preparing the Corsa with the arrival of Chris no mates (gull winged MR2) Davy Hollinger (yellow supercharged twin cam) DJ Danny D (yellow Silvia) and Buffs lush green M5 we all were busy to complete the RMS presentation. Once polishing and prepping was complete along with the RMS signs and flyers the stand was ready…..giving us adequate time to look around the 3 halls in peace, allowing us to get some pic’s of the main attractions without huge crowds before the doors swung open and the masses allowed in. Once the doors opened at 12 the queues which had long been forming outside began to filter through the show and it just seemed to get busier and busier. The cars on display varied greatly, ranging from the extreme in every aspect to the more subtle or styling/ICE specific. Amongst the extreme element was the amazing and very complete Calibre Coachworks Astra coupe, gutted from how it originally left the factory to become a one off show car, with 22” inch rims and mental wide arch/skirts along with fully customised interior and ICE install it has to be seen to fully appreciated the detailing involved here. Dan Anslow Max Power photographer was also present for the event with his lovely purple Skyline on show at the max power stand along side the fuel rx-7 with some of the young Max Power/Charisma ladies not to forget Jakki Degg and plenty of tunes to keep us going all weekend! Hi Octane’s stand also displayed some very tasty modified motors in the form of a new shape Honda Integra Type R accompanied by a neat red civic and a few babes. Vibes stand was the first sight for people entering the show and what an impact it made. 3 cars on display showing vibes skills and dedication in ICE builds and also the quality of their equipment…anyone brave enough to throw their head into the back seat of the Merc 4×4 had their head battered from above and below by the bass pounding from no less than 12×12” sub’s and 4 component sets per door!! Simpler whilst stunning builds were demo’d in their fantastic Audi TT roadster and BMW compact. IASCA were also present throughout the weekend to oversee the sound off events and ICE prize giving within the show. Along with the company stands there were many impressive private entries which were great to see…. the quality and standard of the cars was impressive to say the least with tastes catered for everyone….from flip paint to marbling effect on all sorts of cars, Ferrari, hot rod, Corsa’s, saxo’s, civic’s, to mk1 Gti golf with Nos, Gti-R’s etc, along with appearances from the Jordan F1 team and a former London city cab now transporting a large ICE install there was everything to be seen. 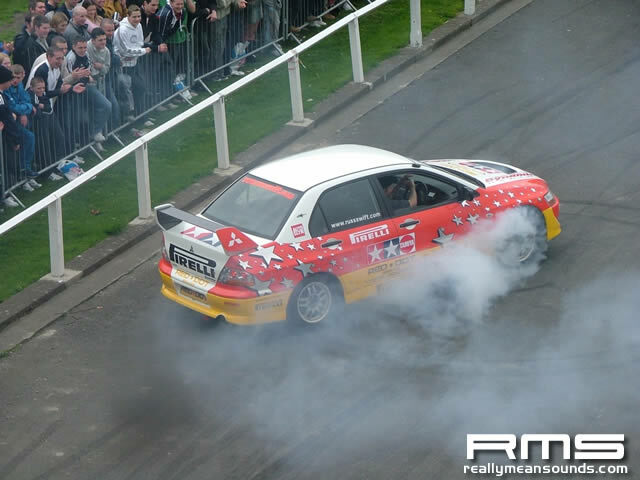 With the many trade and promo stands on offer inside, outside entertainment was provided throughout the event by Russ and Paul Swift showing off their driving skills and shocking a few of the onlookers with a spectacle of stunts!! All in all a great weekend and an impressive display of the quality, size and interest in the local modifying scene north and south. Great to see new along with the usual faces support the scene and the site with a steady interest in the stand all weekend.